Battery prices fall, making EVs more affordable. BMW i3 is one of several new EV models for 2014. Electric vehicle adoption continues to grow and 2014 could provide its biggest boost yet, rising by a projected 67 percent for the year. Thats the forecast of IHS Automotive, the business information, insight, and analysis firm that acquired Polk in 2013. Behind the surge in demand are tighter emissions standards in Europe and increased production including new models from BMW and Fiat. IHS estimates that the total global production of EVs for 2014 will come in at 403,000 units, a number that includes pure electric (electric only) and plug-in electric hybrid vehicles (PHEVs). The projected increase builds on the 44 percent surge seen in 2013. It also far outpaces the estimated 3.6 percent rise in worldwide production for all vehicles expected for 2014. And demand is expected to rise across the globe with North and South America generating 30 percent of the share to 40 percent for Europe, Africa and the Middle East. The remaining 30 percent share estimate was for Asia and the Pacific region. 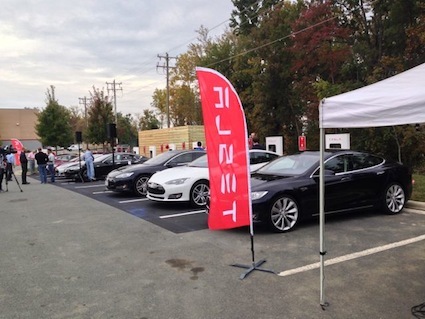 Tesla is supporting its cars with a global charging network. In Europe, tighter emissions standards come into play in the second half of the year, under the European Commissions new Euro 6 legislation. 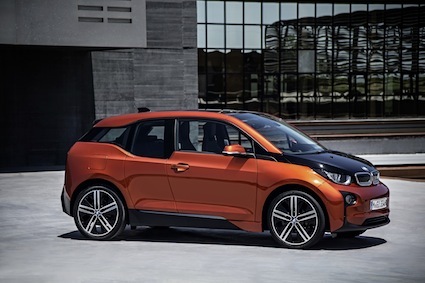 Ben Scott, analyst for IHS Automotive, noted that manufacturers are lining up with new models to serve consumers beyond the aforementioned BMW i3 and Fiat 500e. And the expanded product line up should generate a corresponding increase in interest for EVs. Besides Fiat and BMW, the Audi A3 PHEV, Volkswagen e-Up!, and the Mercedes-Benz B-Class Electric are also new to the market. These models will be supported by a broadened electric vehicle charging station network that will add 35,000 charging units to the worldwide pool for 2014. New types of chargers are entering the market too and include those that satisfy AC-Type 2 Mode 3, DC-CHAdeMO and DC-CCS standards. They’re known as trio chargers as they meet the three different accepted standards and can be used by all EV models. Besides AC chargers, the first DC chargers are also hitting the market, a more costlier but more efficient charging option that is expected to drop in price as demand for same increases, chiefly in China and in Europe. Another trend that IHS Automotive has been following are new electric vehicles with larger and more efficient electric batteries. Well see more models equipped with 40kWh batteries, what deliver a range of at least 150 miles. Thats approximately double the range most standard EVs offer today, a move that will remove range anxiety from buyer consideration for more EV shoppers. Also at play are lower prices driven in part by increased production and a price war that has pitted Panasonic against LG Chem. Panasonic is the battery supplier for Tesla and LG Chem for the Chevrolet Volt. Samsung has also gotten into the market and is the supplier of batteries for BMW and Fiat. 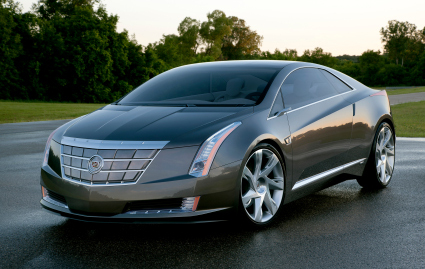 LG Chem provides the electric battery for the Cadillac ELR. And it isn’t just the battery makers that are delivering efficiencies. Both OEMs and other industry suppliers are finding ways to deliver improved or new products at lower costs, helping to drive down the price of EVs. For instance, Bosch has developed a new start/stop system that shuts off power to the car and reduces fuel consumption by up to 10 percent. The Ford Motor Company has developed a solar panel that affixes to the roof of the Ford C-MAX Solar Energi Concept, what can provide up to four hours of battery charge daily on sunny days. Other electric auto trends that IHS Automotive has forecast includes consolidation of charging station companies, government-mandated EV sales in China, and a continued downward trend in EV prices although government incentives are critical to help consumers in this effort. Certainly, 2014 will again be a pivotal year for EV sales, what will constitute about 0.5 percent of the global new vehicle market. Thats a drop in the bucket, but a positive auto trend that supporters will embrace.